It was just super awesome to open WordPress this morning and see this lovely note! It sure has been quite an amazing journey! I had started this blog in hopes that I would be able to come out of the shadows of anonymity and live recovery out loud. THAT WAS A SUPER SCARY IDEA! But one that I needed to finally do for myself, because for the first 5 years of my recovery, I had been afraid of my own stigma as well as that from others, and I felt ashamed of being in recovery – because if I was in recovery I had to admit that I had a problem. THAT WAS SUPER SCARY TOO! But little by little I was able to come open, and I have learned to be proud of my recovery and the person I have become. Throughout this journey, the more I opened up, the more I received in return, the more connections I made, the more people I have been able to reach out to. Moreover, I met some amazing people along the way who have truly been instrumental in my transformation and recovery. Who knew that sharing my recovery openly with others would lead to all this!! I am beyond amazed and grateful! 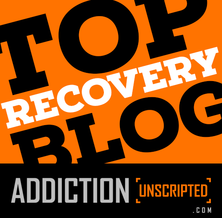 If you’d like to connect with any of the awesome recovery influencers check out my post on Facebook HERE. So today I am sharing with you my very first post on the Sober Courage blog! THANK YOU for reading, commenting, and keeping me company on this crazy/amazing journey through recovery! My name is Magz and I am a recovering alcoholic. I wanted to say that right up front because it is a very important part of my life and the sole reason behind the idea for this blog. I was thinking recently about how alcohol used to give me the instantaneous liquid courage! I could do anything in the world with a few drinks in me – meet strangers, talk to practically anyone, do a presentation in front of a large audience, socialize at a party where I didn’t know a single person, go to a bar by myself, and of course party like a rock star! – LOL! Well, that last one is not really true, but I sure thought so! Anyways, all that got me thinking about how different things are now that I am sober, and how much courage it really takes to get sober and live a sober life! Alcohol is everywhere! AND the idea that you are boring and lame if you don’t drink is totally ingrained in our minds! But this thinking is very FALSE. Living sober can be way more fun! Trust me! I sure didn’t get sober to live a boring life! Now if you ask me, going against these stereotype ideas to find a better life in sobriety sure takes some real courage! Sober Courage! I am very excited about this blog. There are many feelings flowing through me, some fear and anxiety and, did I mention – extreme excitement! I have been agonizing about how get started, what theme pick, and font, and widgets, and design. I AM a perfectionist at heart! And good grief, there are so many choices here! But, I think, that I just need to plunge in! This definitely reminds me of the day leading up to my sober Day #1! I did not know it then, but it was the beginning of an extraordinary journey that has been both very challenging and intensely rewarding. You see, I think getting sober is just like anything else that you want to accomplish in life; it takes time, determination and perseverance. It takes courage! And most of all it takes a tremendous amount support from others. Unfortunately, alcoholism carries so much shame with it that most people never find the courage to get help, to take the first steps, to try a new way of living. They are just too afraid to tell others and ask for help because of the cruel judgment that can be placed on them. Getting sober should not be viewed as shameful! 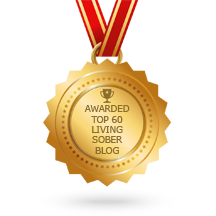 Sobriety should be admired! We should be encouraging and supporting everyone who decides to get sober! Life of addiction is a very lonely and difficult place, and most of all deadly. But there IS a solution, there is a way out, and it is sobriety. Of course I am not a medic or a therapist or any licensed individual practicing any medicine. I am a recovering alcoholic and I have been sober for a number of years and I would like to share what I have learned in my sober journey with you so that it may help YOU find your way to sobriety! So this is Day #1! And if it is your day 1 too, or 10 or 100, WELCOME! I am glad you found me. I would love to join you on this journey to sobriety. I will try to post every day with a few words of encouragement that may inspire you along your way! So let’s plunge in – feet first! READY! Here comes DAY #1! You can do this! All you need is just some faith! excellent on both counts.sobriety and the blog.tryig to start a blog my self,thought by telling mark that would be enuf to get started.just more effort needed.but congats and well done. Thank you! Yeah, just get started, I say! Then it gets easier to keep writing. Good luck, you can do this! Congratulations, and may there be many more posts to come !!! Ahh… thank you so much! I think I got a few more left in me! LOL! 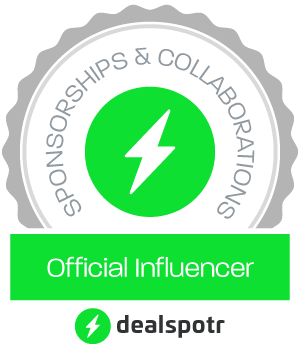 Congratulations on your blogging staying power!! Keep Coming Back!! Thank you Dan! It’s only because of people like you that I can find my strength! It’s been tough but I am determined to get through this too. I will write about it as soon as I am able to get thru this initial pain… Thank you! HUGS!